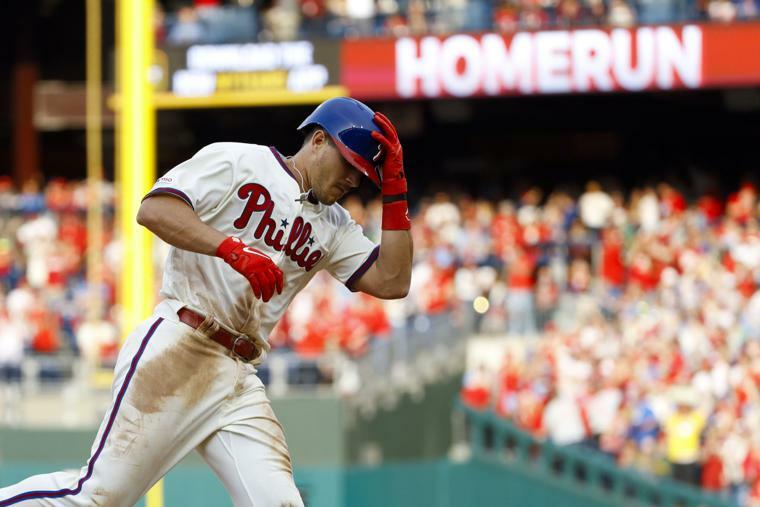 OUT OF MIAMI: CATCHER J. T. REALMUTO IS SO GLAD TO BE A PHILLIE! J.T. 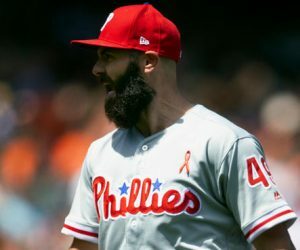 Realmuto has moved to the other end of baseball’s food chain with the high-profile Phillies, who took two games out of three in Miami. And is he ever glad! Realmuto spent his first five major league seasons with the lowly Marlins, and the trade gave the All-Star catcher a chance to play before big crowds with a contending team. 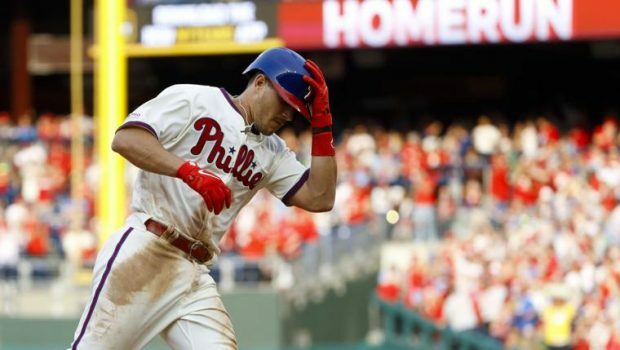 The Phillies ended the weekend 9-5 riding a wave of excitement thanks to the signing of slugger Bryce Harper. “It’s definitely different for me,” Realmuto said. “It’s fun — the adrenalin rush you get from a crowd like that. Philly fans are very passionate people. It’s fun for me to experience that. 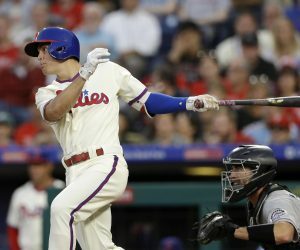 After finishing with two hits, two runs and an RBI in Friday’s 9-1 win over the Marlins, Realmuto was batting .256 with one homer this season, but he has won raves for his defense. 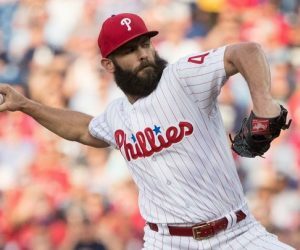 He’s so happy in the new setting he said he would consider signing an extension with the Phillies beyond 2020, his final year of arbitration. Previous VEGAS MAKES TIGER FAVE TO WIN U. S. OPEN, BRITISH AND PGA! Next HOW MARIANO RIVERA HELPED PHILS LEGEND ROY HALLADAY INTO HOF!